“This transaction builds strength on strength for Chevron,” said Chevron’s Chairman and CEO Michael Wirth. “The combination of Anadarko’s premier, high-quality assets with our advantaged portfolio strengthens our leading position in the Permian, builds on our deepwater Gulf of Mexico capabilities and will grow our LNG business. It creates attractive growth opportunities in areas that play to Chevron’s operational strengths and underscores our commitment to short-cycle, higher-return investments.” “This transaction will unlock significant value for shareholders, generating anticipated annual run-rate synergies of approximately $2 billion, and will be accretive to free cash flow and earnings one year after close,” Wirth concluded. - Shale & Tight – The combination of the two companies will create a 75-mile-wide corridor across the most attractive acreage in the Delaware basin, extending Chevron’s leading position as a producer in the Permian. - Deepwater – The combination will enhance Chevron's existing high-margin position in the deepwater Gulf of Mexico (GOM), where it is already a leading producer, and extend its deepwater infrastructure network. - LNG –Chevron will gain another world-class resource base in Mozambique to support growing LNG demand. Area 1 is a very cost-competitive and well-prepared greenfield project close to major markets. Chevron will conduct a conference call on Friday, April 12, 2019, at 8:30 a.m. ET to discuss the transaction. A webcast of the discussion will be available in a listen-only mode to individual investors, media, and other interested parties on Chevron’s website at www.chevron.com under the “Investors” section, or by calling Toll-Free U.S. +1 866-219-7734 or International +1 478-205-0666 and providing the Conference ID 2864506. Additional materials will be available under “Events and Presentations” in the “Investors” section on the Chevron website. Anadarko Petroleum Corporation’s mission is to deliver a competitive and sustainable rate of return to shareholders by exploring for, acquiring and developing oil and natural gas resources vital to the world’s health and welfare. As of year-end 2018, the company had 1.47 billion barrels-equivalent of proved reserves, making it one of the world’s largest independent exploration and production companies. For more information about Anadarko and APC Flash Feed updates, please visit www.anadarko.com. 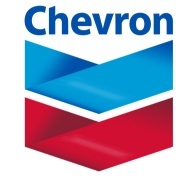 As used in this news release, the term “Chevron” and such terms as “the company,” “the corporation,” “our,” “we,” “us” and “its” may refer to Chevron Corporation, one or more of its consolidated subsidiaries, or to all of them taken as a whole. All of these terms are used for convenience only and are not intended as a precise description of any of the separate companies, each of which manages its own affairs.